Prison authorities allegedly want to incarcerate him. 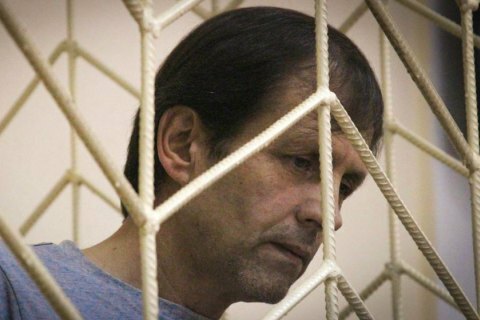 Ukrainian activist Volodymyr Balukh, who has been on a hunger strike in a Crimean remand centre for 167 days now, feels seriously worse, the deputy head of the Crimean Tatar self-styled government Majlis, Akhtem Chyyhoz, has said. "Last night I was told that Volodymyr Balukh is very sick. I was also told that they want to send him to a pit," he said on Facebook. Chyyhoz told Krym.Realii that prison authorities want to incarcerate him. The Ukrainian Foreign Ministry repeatedly demanded that Russia release political prisoners Oleh Sentsov and Volodymyr Balukh, who have been on a protest hunger strike.